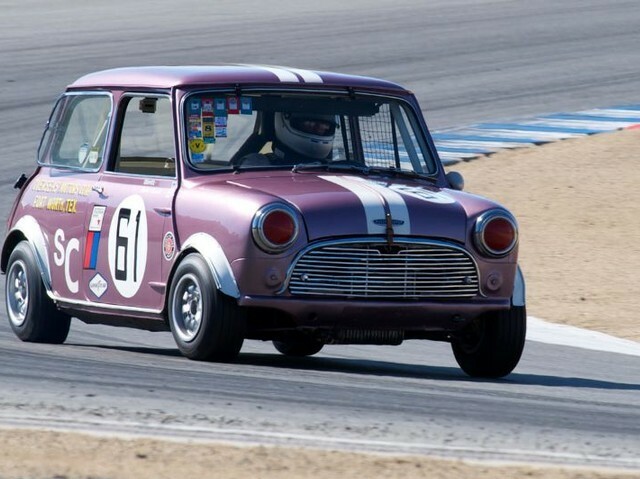 This 1965 Austin Cooper 1257 "S" raced by Richard McDaniel won the American Road Race of Champions* three consecutive years. McDaniel was awarded the prestigious Presidents Cup in 1968. 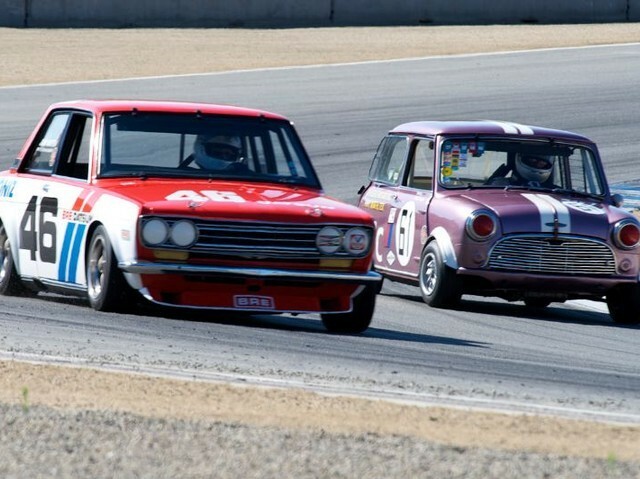 The "Team Overseas Motors" shared in the history with both cars being a force to be reconded with back in the day. 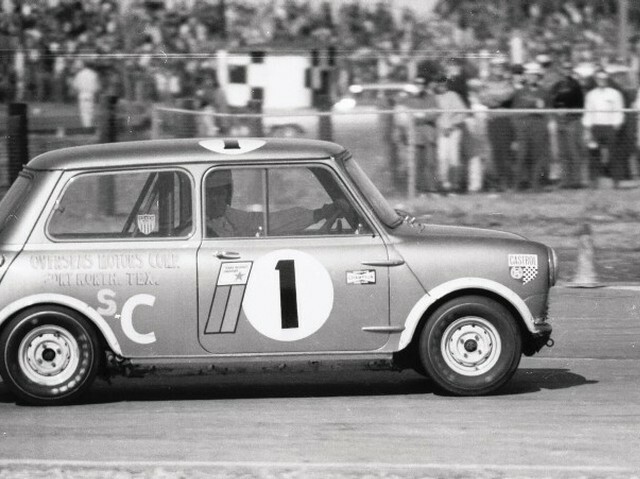 After 17 years storage, Robert Merrill purchased and restored the Mini to 1967 ARRC winning form including the tree on the driver's door. The design was originally added following a race where McDaniel was run off the track and hit a small tree. 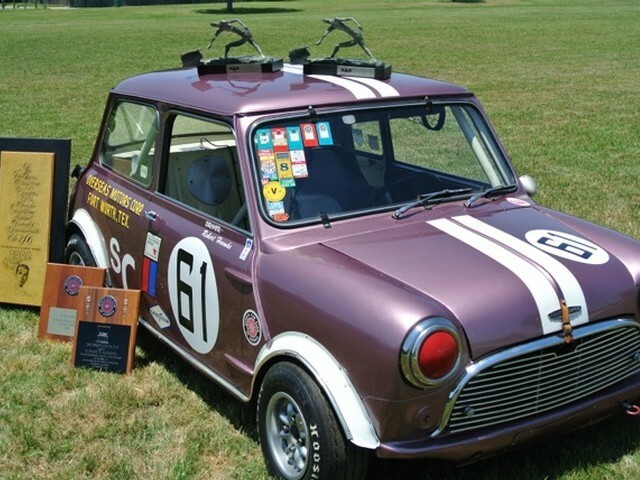 In the sixties no other Mini approached the record of the "Purple People Eater". 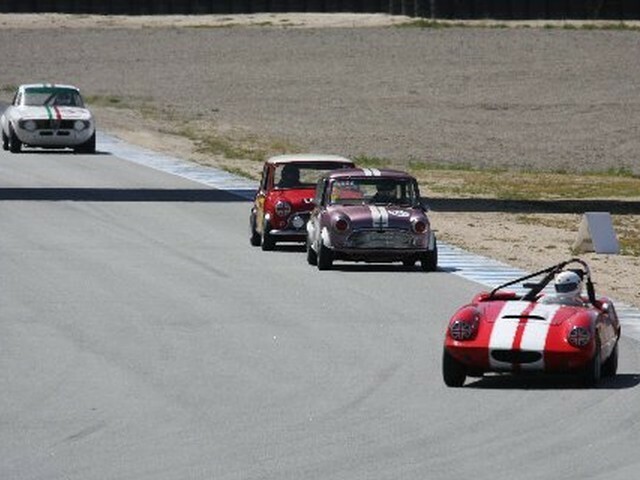 * American Road Race of Champions (ARRC) - Sports Car Club of America (SCCA) National Championship and predecessor to the Run-Offs. 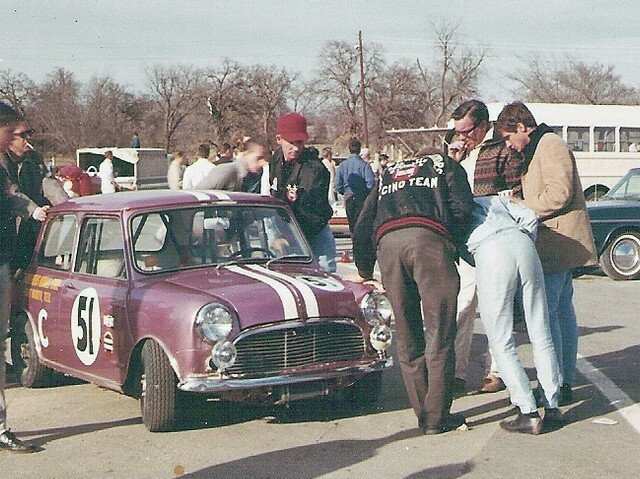 Richard McDaniel of Fort Worth, Texas, one of five repeaters among the Sports Car Club of America’s 22 current national individual champions, has a unique and perhaps unmatched record for winning. 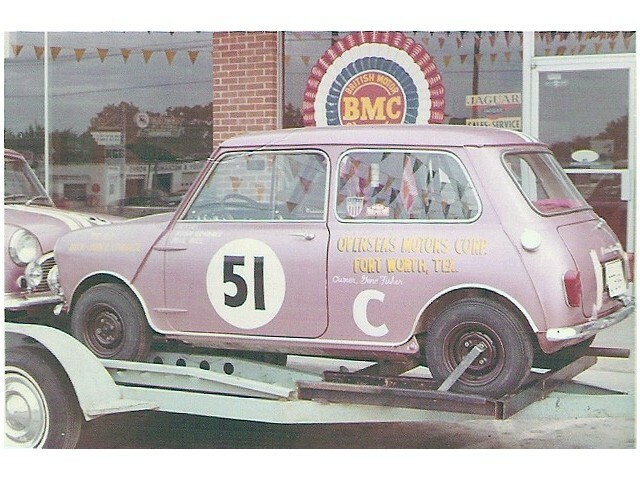 Over his 21 years in racing, he has won his first race in every type of car he has ever driven in competition, this encompasses 12 different types of racers in a high pressure sport where most champions specialize in only two or three types of competitive cars, as McDaniel does now for business reasons. Professionally, McDaniel is a business executive. 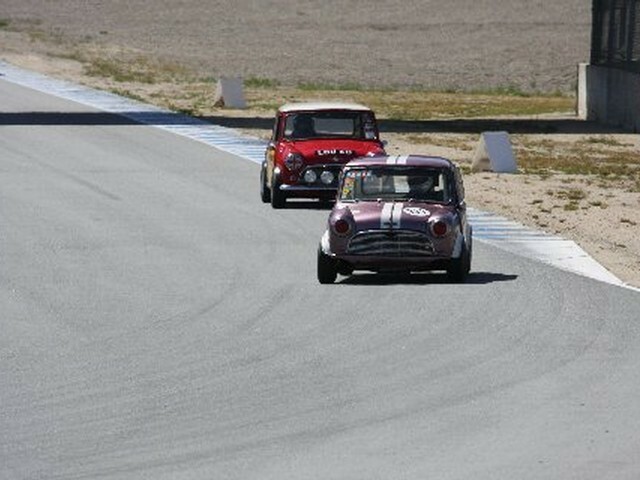 Racing is only his avocation. 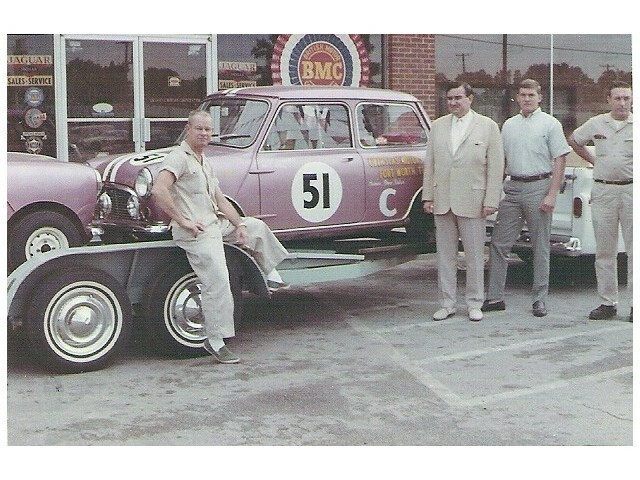 But his hobby has a direct tie to his business, for he is general manager of Overseas Motors Corporation, the BMC, Jaguar and Rolls Royce dealer in Fort Worth. His most recent triumph came in late November last year in the Sports Car Club of America’s biggest event of the year, the American Road Race of Championsat Daytona Beach, Fla. 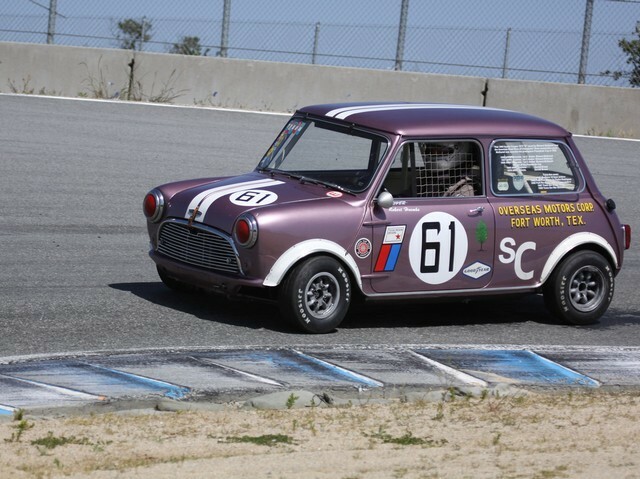 He captured the SCCA Class C Sedan individual title for the second year in a row.The car in which he has won national championess back to back is a BMC Austin Cooper ‘S” sedan, a tiny 120 horse power British-made vehicle weighing only 1, 155 pounds. 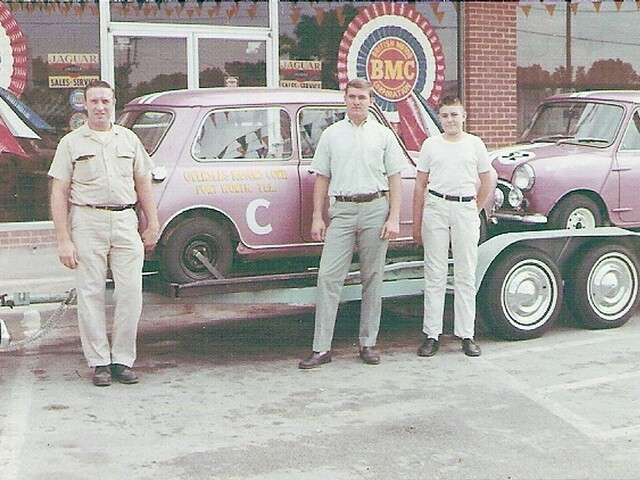 In defeating the country’s top 20 Class C sedan drivers-including six other divisional champions to win his 1967 national crown, McDaniel achieved speeds of well over 130 Miles per hour on the straightaway’s at Daytona and won the all out maximum effort race of 35 laps with an average speed of 71.388 mph McDaniel first class C Sedan national championship was won at Riverside, Calif., site of the SCCA’s American Road Race of Champions for 1966. 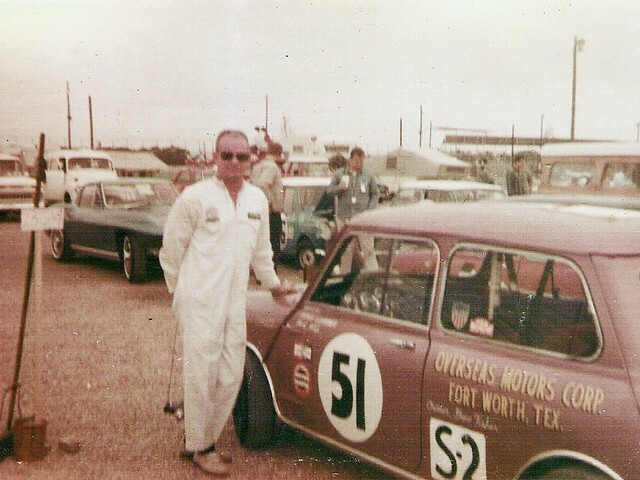 A native of Fort Worth, who has called this area home all of his life, the 39 year old McDaniel first became interested in cars and racing as a boy. He teamed with friends to tinker with cars. 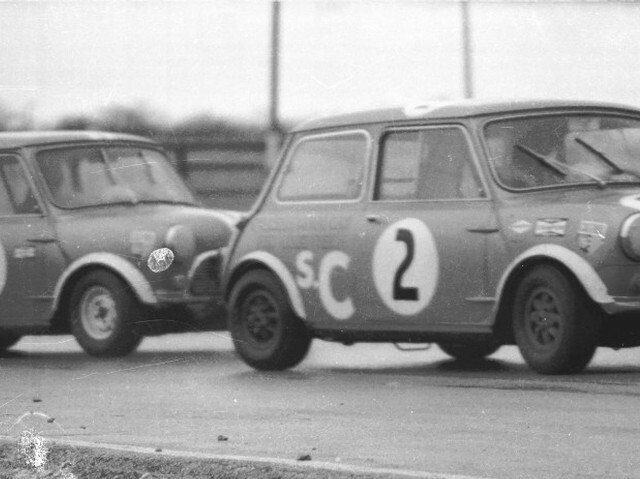 Then, by the time he was 18, he was “out there”, driving to win. 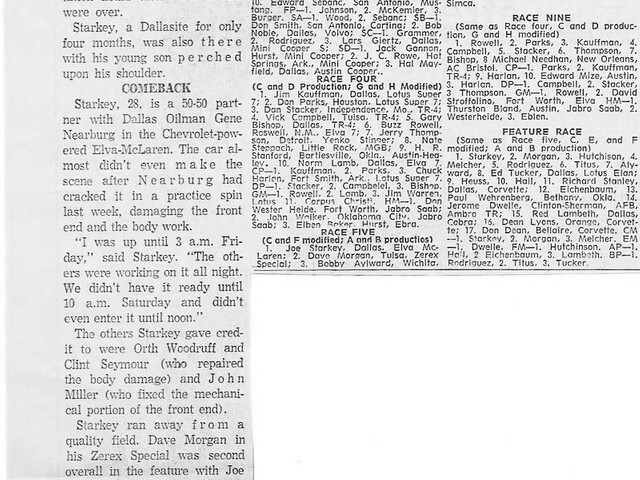 McDaniel’s first race entry was a jalopy at the Jacksboro Speedway in Fort Worth in 1946. “I won,” he remembers “even though I was so scared I couldn’t see straight. 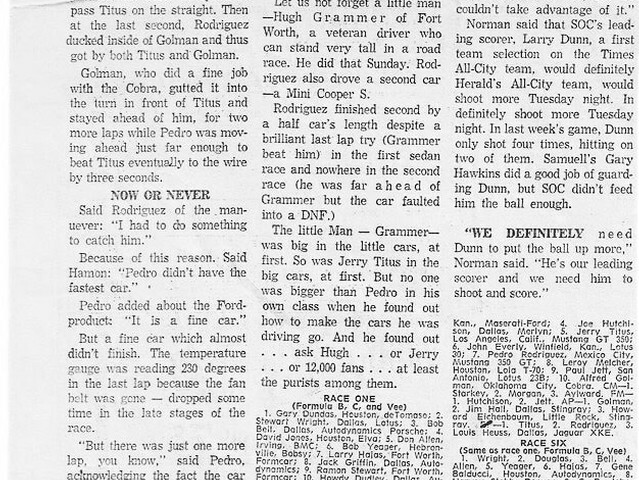 “In fact, I probably won because I was lucky enough to get off in the lead, and I was afraid to have any one pass me.” That was the start and from this jalopy beginning, he has since debuted and won in hardtops, modifieds, modified stocks, stocks, sprints, midgets, late model stocks, formula cars, production models and sports cars, both large and small. 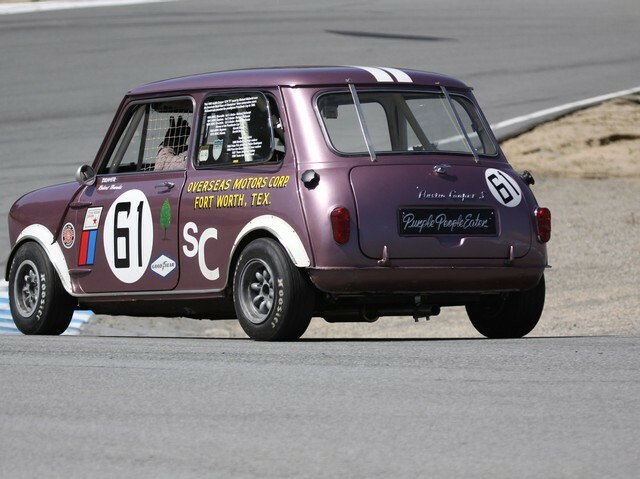 Much of his success is winning in all types of race cars he attributes to his insistence upon close attention to maintenance and other details and to his own genuine love for racing as a sport. 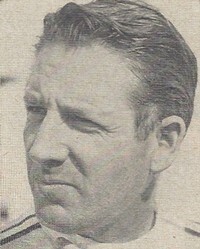 After his start in 1946, to the time of his only major injury in 1950, McDaniel kept his foot hard on the accelerator whenever and wherever there was a race and a track with a purse. 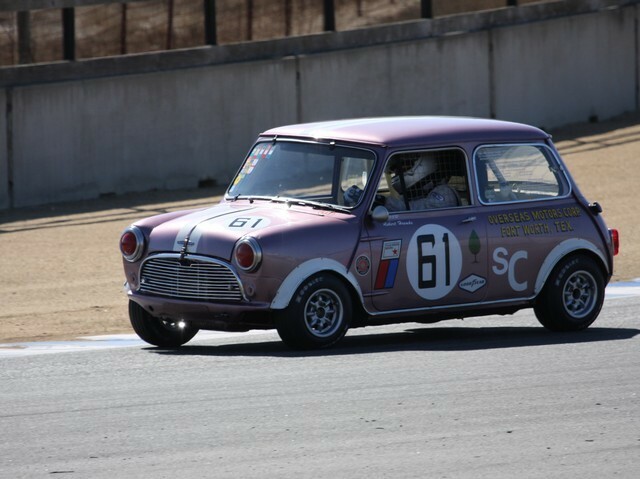 Commuting from track to track around the country, hauling his racer behind him, he raced often in his early days. 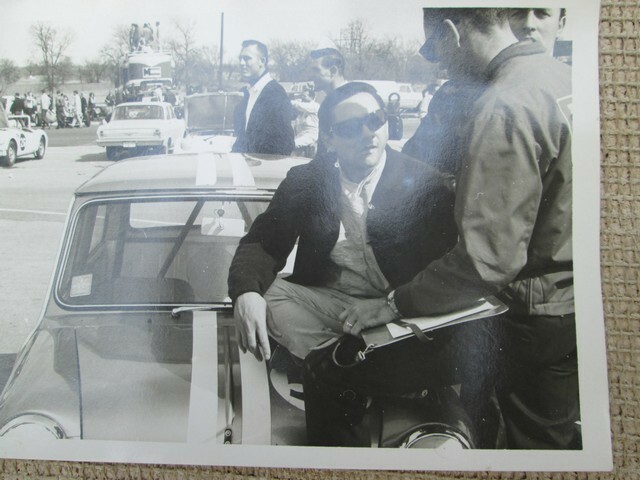 Then came his one (and only) serious smashup in 1959 in a high speed crash at Anderson, Ind. There, his neck was broken, one of his ribs punctured his lung, and he suffered internal injuries. Even so, with his ribs still taped and the doctor’s warnings still ringing in his ears, McDaniel was back on the track just as soon as he could move. In fact, he went on to win three races with his neck encased in a steel brace. 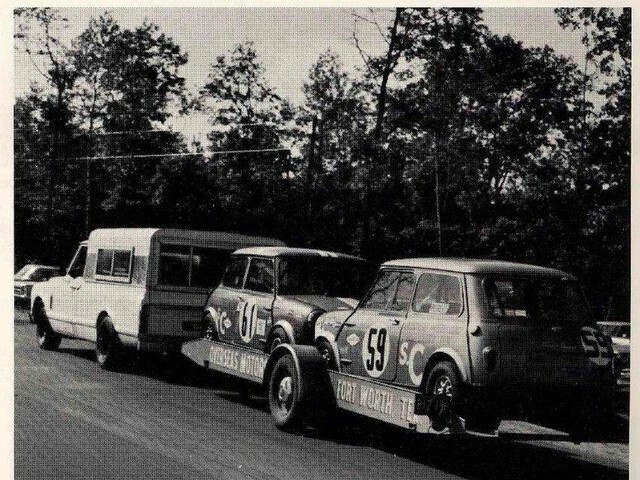 By 1951, however, his father was successful in persuading McDaniel to leave racing as a full-time pursuit and to take a regular job and drive only as a hobby. 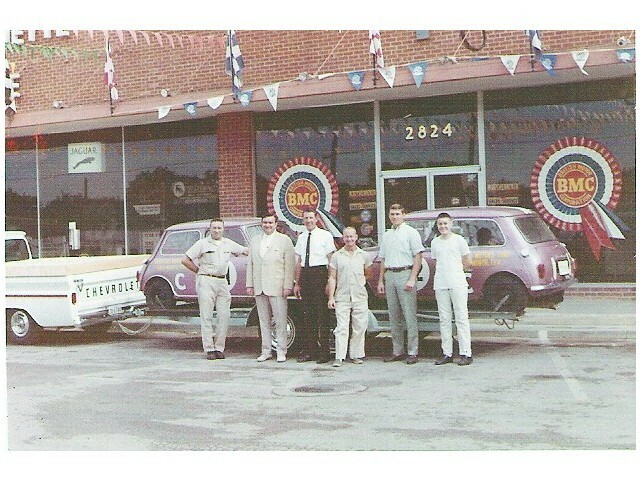 DOUBLING AS Overseas’ general manager, McDaniel has already sold Grammer’s car, and has his own on the block. “This was four years for ‘em” he explains. “I just figure when you win the President’s Cup it’s time to really do something, especially when you’re my age.” At 40, McDaniel may be just getting started, although he started racing 22 years ago. Even going “big-time”, the Overseas team and McDaniel aren’t forgetting their home base. 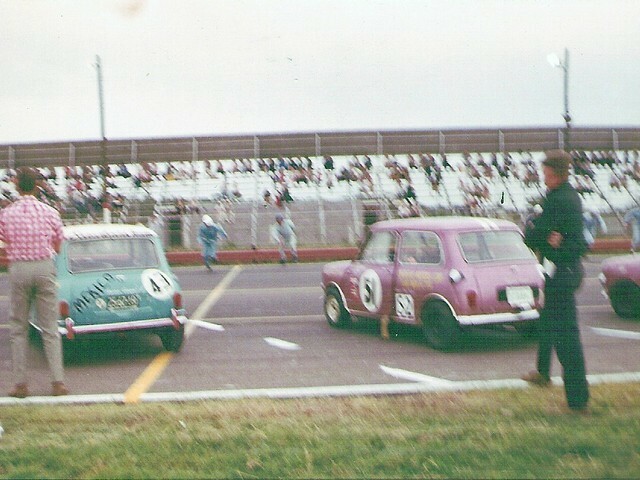 They’ll be running something in the national sports car events at Green Valley in 1969, to qua’ify for next year’s Race of Champions. 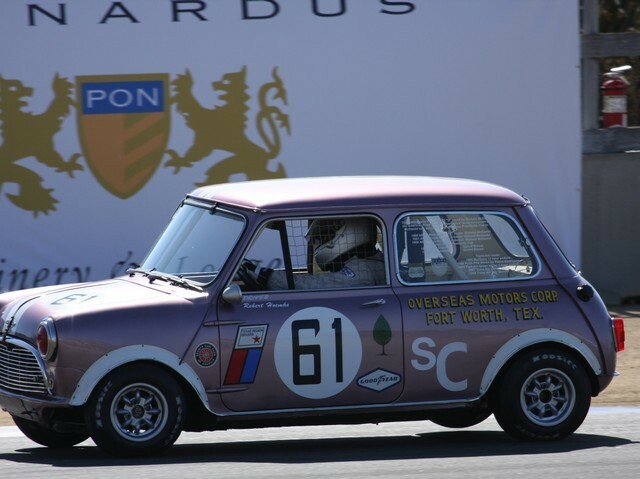 Two-time Formula 1 and 24 Hour of Le Mans winner, Pedro Rodriguez drove this Mini Cooper S at the 1966 South Polar Prix at Green Valley Raceway in Texas. 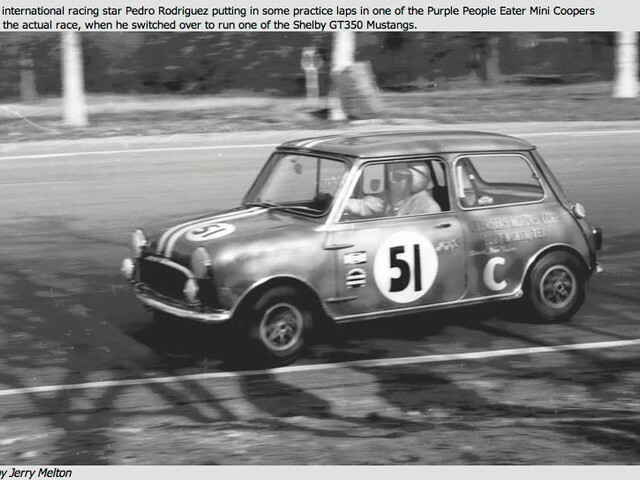 Pedro likely would have won the race if not for a seized generator that knocked him out of the race short of the finish. 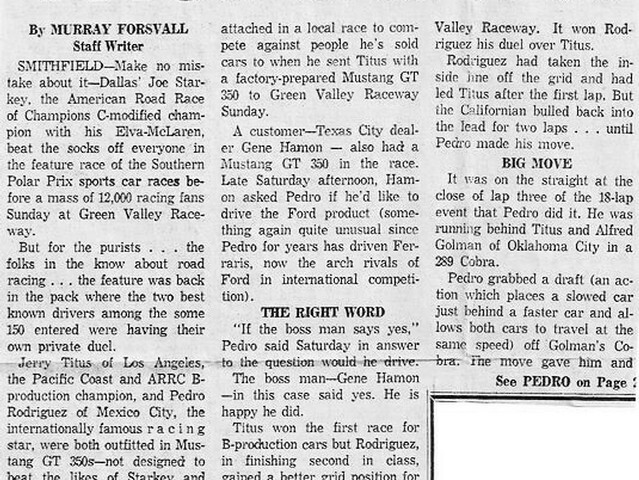 Pedro did go onto to win BP in a last minute ride in a Shelby GT-350 that same weekend. It was reported that Pedro stayed after the event to receive his first place award in BP, and looked as happy as a novice who had just won his first regional. That’s my idea of a good guy! 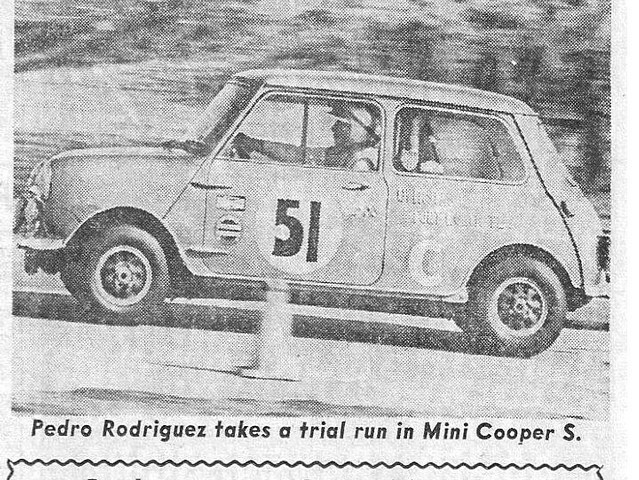 Pedro competed in 54 Formula 1 races, claiming two victories, first in 1967 at the South African Grand Prix, and again in 1970 at the Belgian Grand Prix along with 7 other podium finishes. 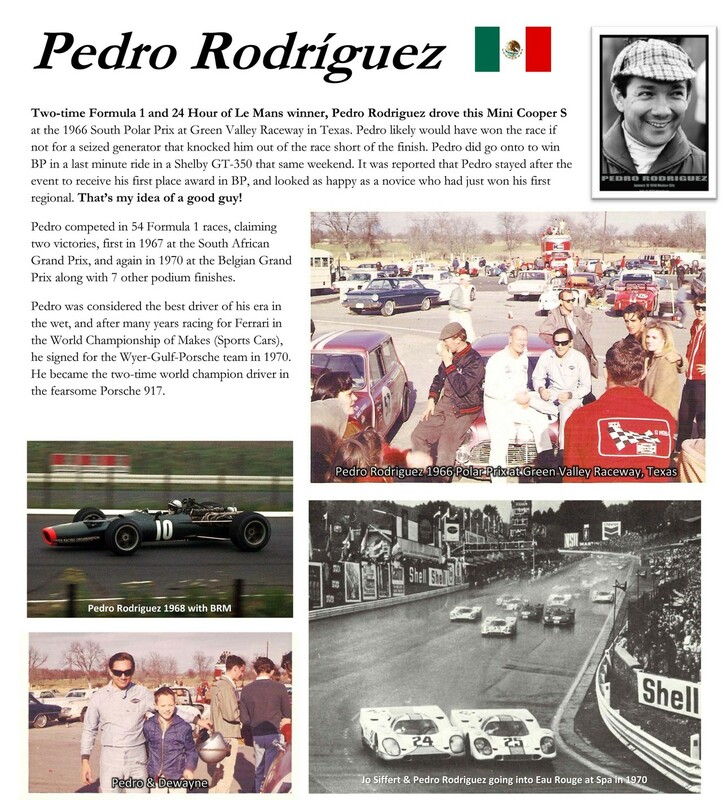 Pedro was considered the best driver of his era in the wet, and after many years racing for Ferrari in the World Championship of Makes (Sports Cars), he signed for the Wyer-Gulf-Porsche team in 1970. 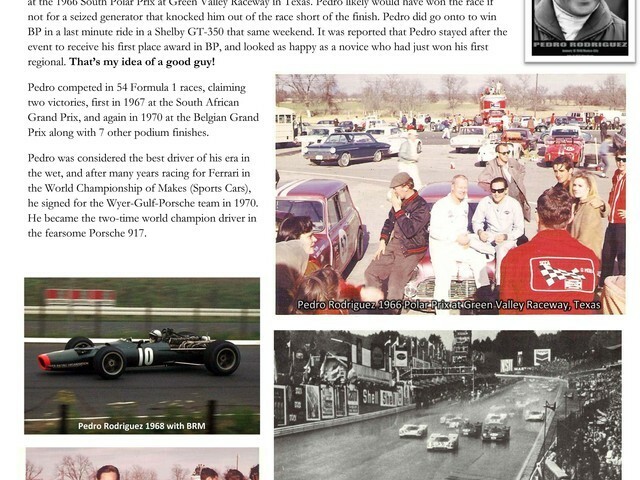 He became the two-time world champion driver in the fearsome Porsche 917. 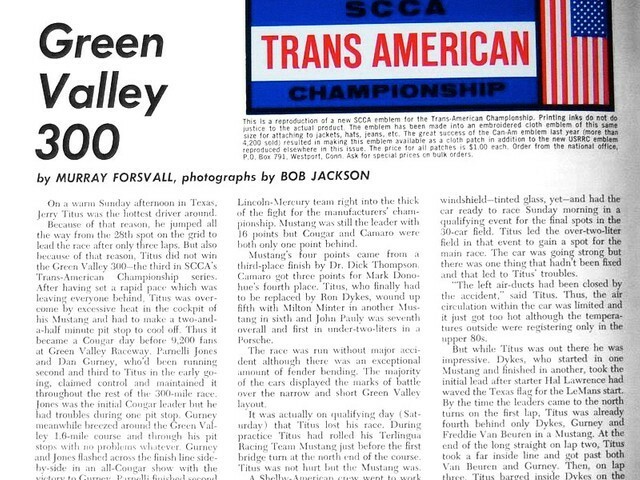 McDaniel competed in SCCA’s 1967 Trans-Am series at Green Valley raceway with the likes of Dan Gurney, Parnelli Jones, Mark Donohue and Roger Penske Racing. 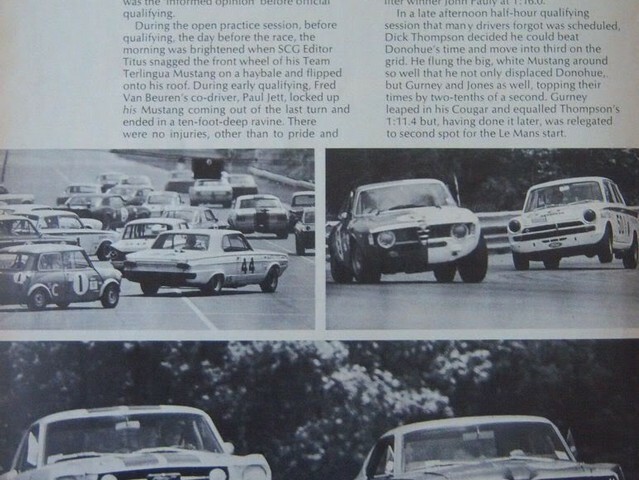 It was in this race that Dan Gurney won in the closest finish in Trans-Am history when he edged out his teammate Parnelli Jones by less than three feet at the finish in the brand new Mercury Cougar. McDaniel finished a respectable 6th place in class. 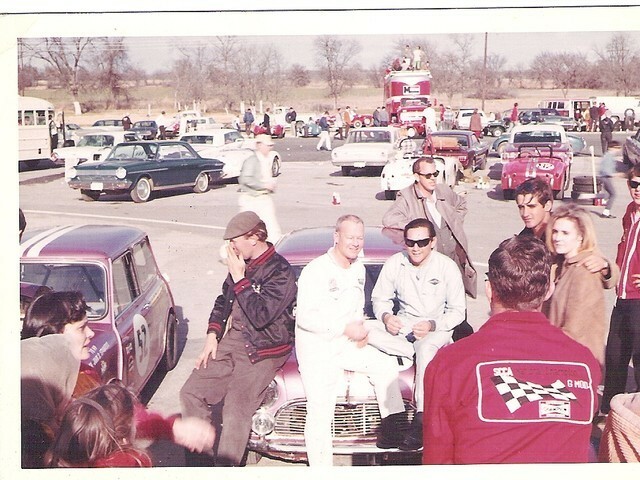 McDaniel raced alongside such greats as Mark Donohue, Parnelli Jones and Sam Posey in this 1968 Trans-Am race in Oklahoma.